A computer is an electronic device that has the ability to store, retrieve, and process data, and can be programmed with instructions that it remembers. The physical parts that make up a computer (the central processing unit, input, output, and memory) are called hardware. Programs that tell a computer what to do are called software. A set of instructions that perform a particular task is called a program, software program, or software. Peripherals are any hardware device connected to a computer, any part of the computer outside the CPU and working memory. Some examples of peripherals are keyboards, the mouse, monitors, printers, scanners, disk and tape drives, microphones, speakers, joysticks, plotters, and cameras. Based on the operational principle of computers, they are categorized as analog, digital and hybrid computers. Analog Computers: These are almost extinct today. These are different from a digital computer because an analog computer can perform several mathematical operations simultaneously. It uses continuous variables for mathematical operations and utilizes mechanical or electrical energy. Digital Computers: They use digital circuits and are designed to operate on two states, namely bits 0 and 1. They are analogous to states ON and OFF. Data on these computers is represented as a series of 0s and 1s. Digital computers are suitable for complex computation and have higher processing speeds. They are programmable. Digital computers are either general purpose computers or special purpose ones. General purpose computers, as their name suggests, are designed for specific types of data processing while general purpose computers are meant for general use. Hybrid Computers: These computers are a combination of both digital and analog computers. 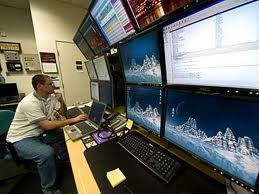 In this type of computers, the digital segments perform process control by conversion of analog signals to digital ones. This was the classification of computers based on their style of functioning. Following is a classification of the different types of computers based on their sizes and processing powers. Mainframe Computers: Large organizations use mainframes for highly critical applications such as bulk data processing and ERP. Most of the mainframe computers have capacities to host multiple operating systems and operate as a number of virtual machines. They can substitute for several small servers. Microcomputers: A computer with a microprocessor and its central processing unit is known as a microcomputer. 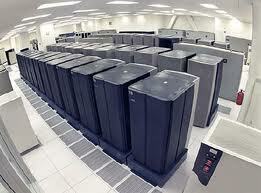 They do not occupy space as much as mainframes do. When supplemented with a keyboard and a mouse, microcomputers can be called personal computers. A monitor, a keyboard and other similar input-output devices, computer memory in the form of RAM and a power supply unit come packaged in a microcomputer. These computers can fit on desks or tables and prove to be the best choice for single-user tasks. Personal computers come in different forms such as desktops, laptops and personal digital assistants. Let us look at each of these types of computers. Desktops: A desktop is intended to be used on a single location. The spare parts of a desktop computer are readily available at relatively lower costs. Power consumption is not as critical as that in laptops. Desktops are widely popular for daily use in the workplace and households. Laptops: Similar in operation to desktops, laptop computers are miniaturized and optimized for mobile use. Laptops run on a single battery or an external adapter that charges the computer batteries. 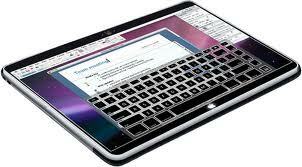 They are enabled with an inbuilt keyboard, touch pad acting as a mouse and a liquid crystal display. Their portability and capacity to operate on battery power have proven to be of great help to mobile users. 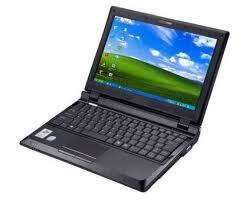 Netbooks: They fall in the category of laptops, but are inexpensive and relatively smaller in size. They had a smaller feature set and lesser capacities in comparison to regular laptops, at the time they came into the market. 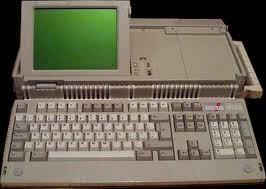 But with passing time, netbooks too began featuring almost everything that notebooks had. 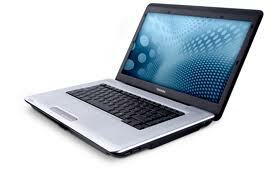 By the end of 2008, netbooks had begun to overtake notebooks in terms of market share and sales. Personal Digital Assistants (PDAs): It is a handheld computer and popularly known as a palmtop. It has a touch screen and a memory card for storage of data. PDAs can also be used as portable audio players, web browsers and smartphones. Most of them can access the Internet by means of Bluetooth or Wi-Fi communication. Minicomputers: In terms of size and processing capacity, minicomputers lie in between mainframes and microcomputers. 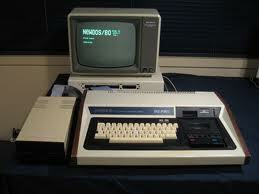 Minicomputers are also called mid-range systems or workstations. The term began to be popularly used in the 1960s to refer to relatively smaller third generation computers. They took up the space that would be needed for a refrigerator or two and used transistor and core memory technologies. The 12-bit PDP-8 minicomputer of the Digital Equipment Corporation was the first successful minicomputer. 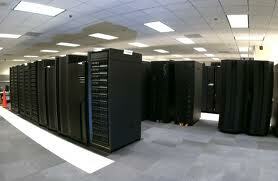 Servers: They are computers designed to provide services to client machines in a computer network. They have larger storage capacities and powerful processors. 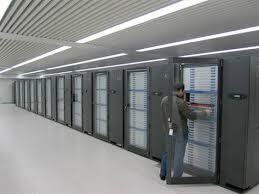 Running on them are programs that serve client requests and allocate resources like memory and time to client machines. Usually they are very large in size, as they have large processors and many hard drives. They are designed to be fail-safe and resistant to crash. Supercomputers: The highly calculation-intensive tasks can be effectively performed by means of supercomputers. 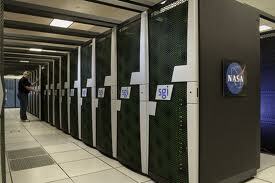 Quantum physics, mechanics, weather forecasting, molecular theory are best studied by means of supercomputers. Their ability of parallel processing and their well-designed memory hierarchy give the supercomputers, large transaction processing powers. Wearable Computers: A record-setting step in the evolution of computers was the creation of wearable computers. These computers can be worn on the body and are often used in the study of behavior modeling and human health. Military and health professionals have incorporated wearable computers into their daily routine, as a part of such studies. When the users' hands and sensory organs are engaged in other activities, wearable computers are of great help in tracking human actions. Wearable computers do not have to be turned on and off and remain in operation without user intervention. Tablet Computers: Tablets are mobile computers that are very handy to use. They use the touch screen technology. 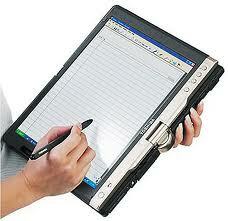 Tablets come with an onscreen keyboard or use a stylus or a digital pen. Apple's iPad redefined the class of tablet computers. A super computer is a computer which performs at a rate of speed which is far above that of other computers. Given the constantly changing world of computing, it should come as no surprise to learn that most supercomputers bear their superlative titles for a few years, at best. Computer programmers are fond of saying that today's supercomputer will become tomorrow's computer; the computer you are reading this article on is probably more powerful than most historic supercomputers, for example. The term “supercomputer” was coined in 1929 by the New York World, referring to tabulators manufactured by IBM. To modern computer users, these tabulators would probably appear awkward, slow, and cumbersome to use, but at the time, they represented the cutting edge of technology. This continues to be true of supercomputers today, which harness immense processing power so that they are incredibly fast, sophisticated, and powerful. The primary use for supercomputers is in scientific computing, which requires high-powered computers to perform complex calculations. Scientific organizations like NASA boast supercomputers the size of rooms for the purpose of performing calculations, rendering complex formulas, and performing other tasks which require a formidable amount of computer power. Some supercomputers have also been designed for very specific functions like cracking codes and playing chess; Deep Blue is a famous chess-playing supercomputer. Mainframes Computers are large, expensive computers mainly used by government institutions and large companies, and allow you to log on to your computer account on any computer through out your business/school. A data processing system employed mainly in large organizations for various applications, including bulk data processing, process control, industry and consumer statistics, enterprise resource planning, and financial transaction processing. Mainframes use proprietary operating systems, most of which are based on Unix, and a growing number on Linux. Over the years they have evolved from being room-sized to networked configurations of workstations and servers that are an extremely competitive and cost effective platforms for e-commerce development and hosting. 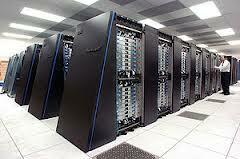 Mainframes are so called because the earliest ones were housed in large metal frames. A minicomputer is smaller than a mainframe computer, but larger than a microcomputer. Minicomputers are computers that are somewhere in between a microcomputer and a mainframe computer. In times past, the minicomputer was typically a stand alone device that was ideal for use by small and mid-sized businesses who needed more power and memory than could be obtained with microcomputers, but did not have a need for the resources provided by mainframes. More recently, a minicomputer is thought of in terms of being a server that is part of a larger network. In the early years of computer technology, a hierarchy of computer sizes and types was used to define the level of operation needed for different types of applications. The levels ranged from the embedded systems that functioned more or less automatically to parallel processing systems that was capable of supporting a huge network of interconnected computers and performing a wide array of tasks simultaneously. The minicomputer tended to be somewhat low on the hierarchical listing, in that the device was considered to be limited in ability. Microcomputer is an antiquated term that refers to a computer that uses a microprocessor (integrated circuit) for its Central Processing Unit, rather than vacuum tubes or bipolar junction transistors, which were commonplace before the microprocessor. In addition, amicrocomputer should be small enough to fit on a desk, as microprocessor-based computers larger than that are generally called minicomputers instead. Microprocessor-based computers are the backbone of the modern computer era, often considered "third generation" computers in contrast to the first and second generation of vacuum tubes and bipolar junction transistors. Today, almost all computers are microcomputers. Computers were relatively slow and expensive throughout the 1940s, 1950s, and 1960s, often necessitating large amounts of power and room-sized mainframes. 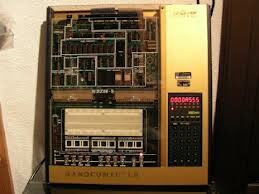 Even a computer the size of a refrigerator would be called a "minicomputer" due to its relatively small size. At this point, computers were only available to the government, universities, and large companies, and had to be used on timeshare. However, in 1958, Jack Kilby, with Texas Semiconductor, invented the integrated circuit, which opened up the possibility of much smaller computers. A nanocomputer is a type of computer that is commonly employed in the field of nanotechnology. Essentially, a nanocomputer is a microscopic computer device. While the concept of the nanocomputer has been around for several decades, the perception of the technology continues to evolve as it becomes possible to store and utilize data and functions on systems that are increasingly compact in design. In years past, the concept of a nanocomputer was thought of in terms of being a small computer that would accomplish all the tasks associated with the large electronic brains of the 1940’s and 1950’s. Over time, as technology made it possible for smaller mainframes to surpass the capabilities of those earlier electronic brains, the idea of the nanocomputer as a device that was not only small but possibly even microscopic in nature began to emerge. Today, the general idea of a nanocomputer would involve the insertion of the small device within the body to help support natural organ functions, treat illnesses, and in general perform specific tasks that the body is no longer able to manage without some sort of assistance. Personal computers are computers that are designed for use by people in their homes and offices. In its more general usage, a personal computer (PC) is a microcomputer designed for use by one person at a time. Prior to the PC, computers were designed for (and only affordable by) companies who attached terminals for multiple users to a single large computer whose resources were shared among all users. The advent of the era of the personal computer was acknowledged by Time magazine in 1982, when they broke with tradition by choosing the PC as their "Man of the Year." By the late 1980s, technology advances made it feasible to build a small computer that an individual could own and use. The term "PC" has been traditionally used to describe an "IBM-compatible" personal computer in contradistinction to an Apple Macintosh computer. The distinction is both technical and cultural and harkens back to the early years of personal computers, when IBM and Apple were the two major competitors. Originally, the "IBM-compatible" PC was one with an Intel microprocessor architecture and an operating system such as DOS or Windows that written to use that microprocessor. The Apple Macintosh uses a Motorola microprocessor architecture and a proprietary operating system. The "IBM-compatible" PC was associated with business and use, while the "Mac," known for its more intuitive user interface, was associated with graphic design and desktop publishing. 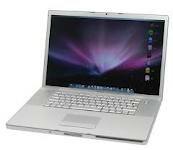 Although the distinctions have become less clear-cut in recent years, people often still categorize a personal computer as either a PC or a Mac. According to Michael Dell, there were 240 million PCs sold worldwide in 2005. A desktop computer is a personal computer that is designed to fit conveniently on top of a typical office desk. 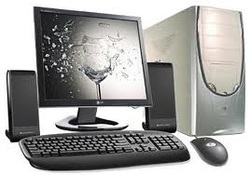 A desktop computer typically comes in several units that are connected together during installation: (1) the processor, which can be in a microtower or minitowerdesigned to fit under the desk or in a unit that goes on top of the desk, (2) the display monitor, (3) and input devices - usually a keyboard and a mouse. Today, almost all desktop computers include a built-in modem, a CD-ROM drive, a multi-gigabyte magnetic storage drive, and sometimes a diskette drive. At home, most desktop computer users also purchase a printer. In businesses and increasingly at home, desktop computers can be interconnected and can share resources such as printers by being connected to a local area network (LAN). A laptop computer, usually called a notebook computer by manufacturers, is a battery- or AC-powered personal computer generally smaller than a briefcase that can easily be transported and conveniently used in temporary spaces such as on airplanes, in libraries, temporary offices, and at meetings. A laptop typically weighs less than 5 pounds and is 3 inches or less in thickness. Among the best-known makers of laptop computers are IBM, Apple, Compaq, Dell, and Toshiba. Laptop computers generally cost more than desktop computers with the same capabilities because they are more difficult to design and manufacture. A laptop can effectively be turned into a desktop computer with a docking station, a hardware frame that supplies connections for peripheral input/output devices such as a printer or larger monitor. The less capable port replicator allows you to connect a laptop to a number of peripherals through a single plug. Laptops usually come with displays that use thin-screen technology. The thin film transistor or active matrix screen is brighter and views better at different angles than the STN or dual-scan screen. Laptops use several different approaches for integrating a mouse into the keyboard, including the touch pad, the trackball, and the pointing stick. A serial port also allows a regular mouse to be attached. The PC Card is insertable hardware for adding a modem or network interface card to a laptop. CD-ROM and digital versatile disc drives may be built-in or attachable. 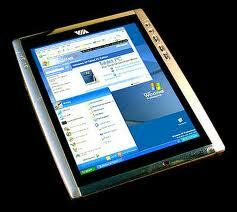 A tablet PC is a wireless, portable personal computer with a touch screen interface. The tablet form factor is typically smaller than a notebook computer but larger than a smartphone. The most common type of tablet is the slate style, like Apple's iPad or Microsoft's Surface. These devices -- which are what that most people mean when they refer to a tablet -- have electronics integrated into the touch screen unit and lack a hardware keyboard. However, external keyboards are available for slate-style tablets. Some keyboards also function as docks for the devices. A convertible tablet typically has a display that rotates 180 degrees and can be folded to close, screen up, over the integrated keyboard. Convertible models may allow user input through a variety of methods in addition to the hardware keyboard, including natural handwriting with a stylus or digital pen and typing through a screen-based software keyboard. A hybrid tablet, sometimes referred to as a convertible or hybrid notebook, is like a regular notebook but with a removable display that functions independently as a slate. A rugged tablet is a slate-like model that is designed to withstand rough handling and extreme conditions. Rugged tablets are usually encased in a protective shell and have shock-protected hard drives. 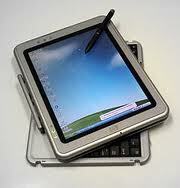 The idea of tablet computing is generally credited to Alan Kay of Xerox, who sketched out the idea in 1971. 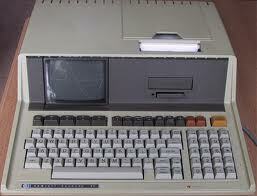 The first widely-sold tablet computer was Apple Computer's Newton, which was not a commercial success. Technological advances in battery life, display resolution, handwriting recognition software, larger memory, and wireless Internet access have since made tablets a viable computing option.